I historical terms, though, I suspect short capes, like any other clothing, actually had or started with a serious *clothing* function, however fashion may have warped it thereafter. Any use in combat was ad hoc, not part of the plan of the garment. Obviously this doesn't apply to clothing designed to be defensive in some way! But there's also medieval occurences, like this picture. 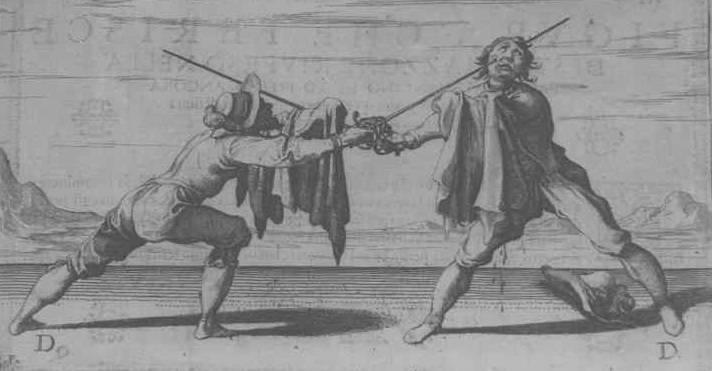 I read somewhere (maybe in the Giganti's second treatise, where there's also some fencing with cloaks) that the shields and daggers were forbidden in some italian cities - so the citizens used their cape or cloak as a defensive weapon. Okay, I'll admit that my favorite is Oliver Reed as Athos. He *always* leads with his cloak! Or with something else besides his sword. In today's MRL' Deal of the Day' there is a 'Cavalier Shoulder Cape' up for grabs. 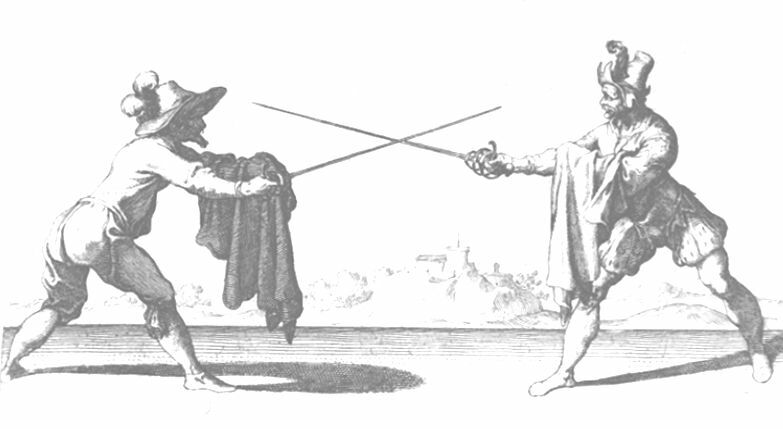 Was this type of garment actually used in rapier fighting in classical times? Or, was it just purely a fashion statement? Since the ancient world! There are carved gems and stories in Greek and Roman authors about men defending themselves with a cape when no shield was available, such as during hunts or when they were attacked in their homes.